The compass is a symbol that resonates with the spirit of adventure, wanderlust, and finding your "True North". 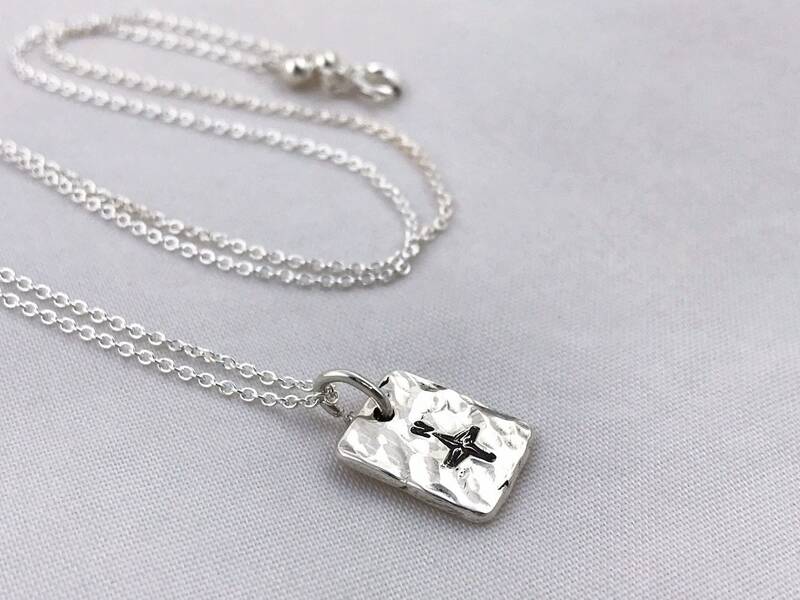 Each one of these pendants is cut out of solid sterling silver by hand, then hammer formed and textured with tool markings left in, and stamped with the symbol of the compass. 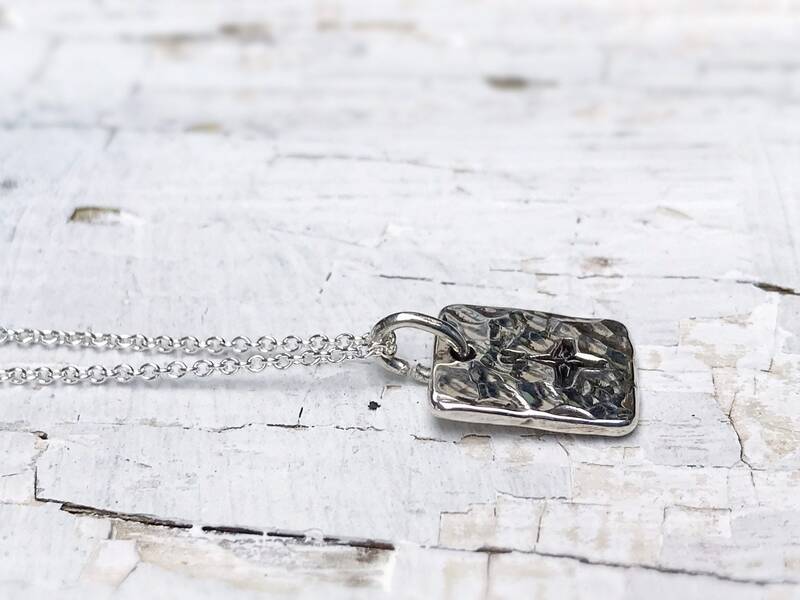 The irregular rectangle shapes and rustic rough-hewn edges of each one are different and unique, reminiscent of old world silversmith pieces. 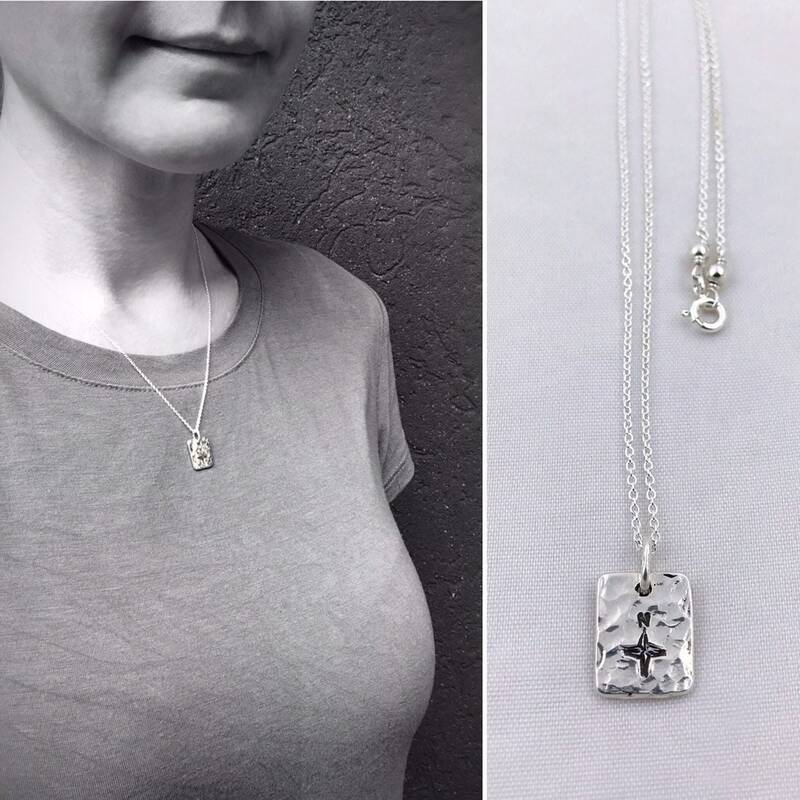 This necklace is made to order and each one is unique, the one in the photos is sold and yours will be created just for you with optional custom stamping on the backside. 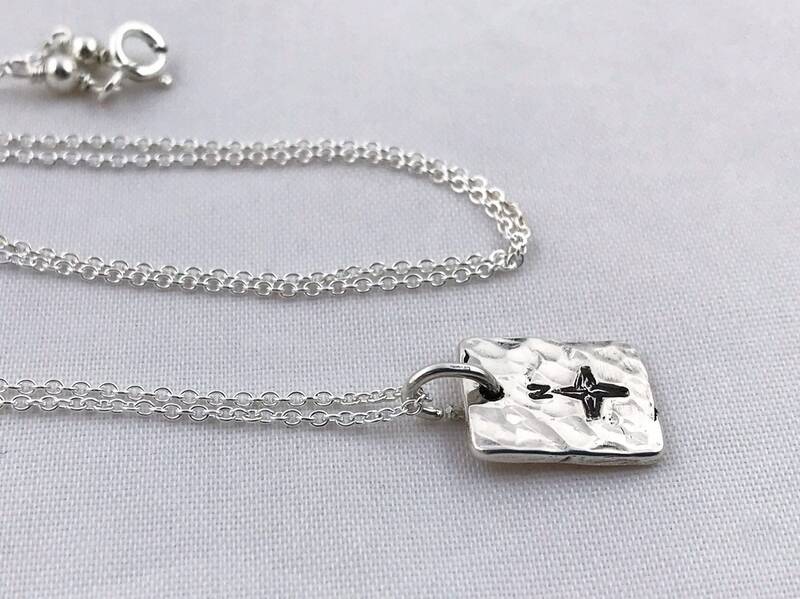 -Hand formed solid sterling silver pendant with hammer texture, tool markings and compass stamping. -Irregular rustic rectangle/square shape which will vary slightly with each pendant. 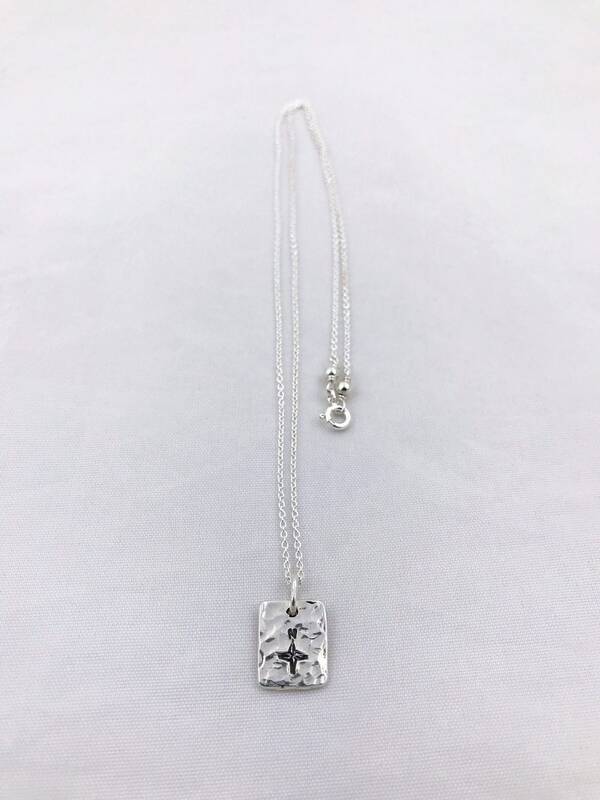 -Pendant measurements will vary slightly with each one but are approximately 12-13mm (1/2") length (not including the top loop which adds about 5mm or 1/4"), 11-12mm (just under 1/2") width, and 1mm thickness. 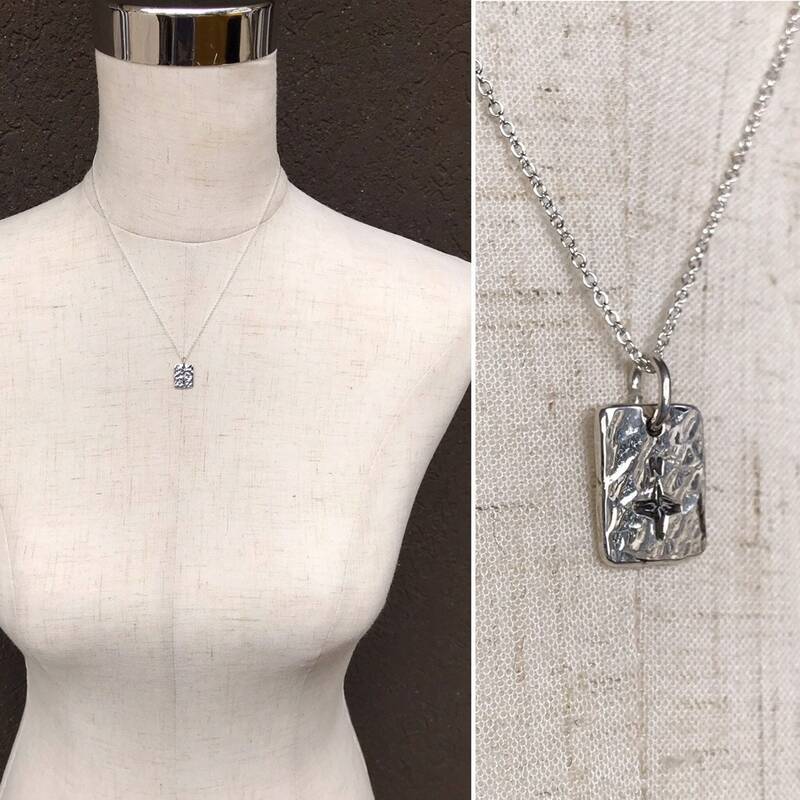 -You may choose to personalize this piece with a custom stamping on the backside (see below for guidelines). Custom stamping is optional. -Chain is a solid sterling silver cable chain with spring ring clasp. 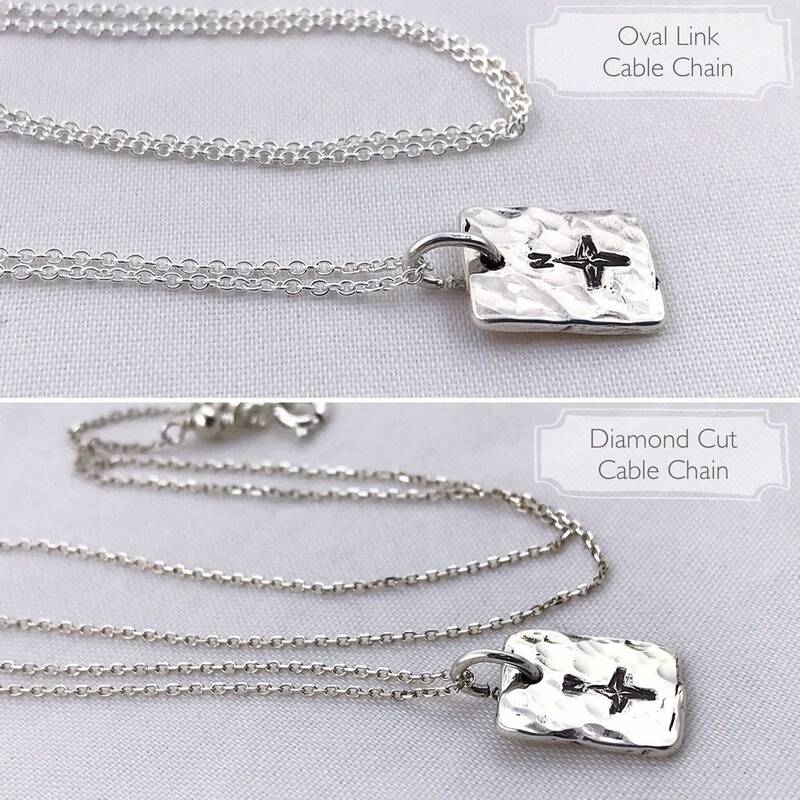 Choose from sterling silver 1.1mm oval link cable chain or sterling silver 1mm diamond cut cable chain. Both chains are delicate looking while being quite sturdy. Diamond cut chain has a bit more sparkle. Last photo shows both chain styles for comparison. 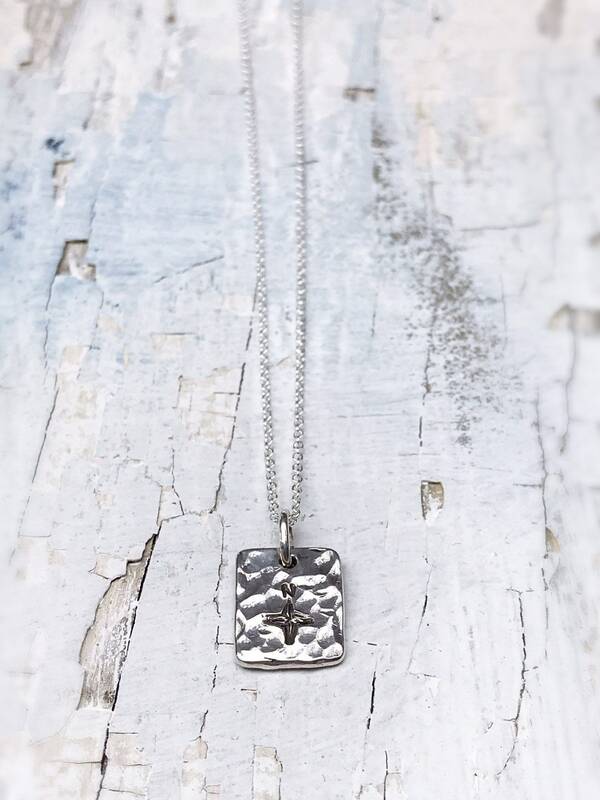 -Custom stamping on the backside of this pendant is optional. 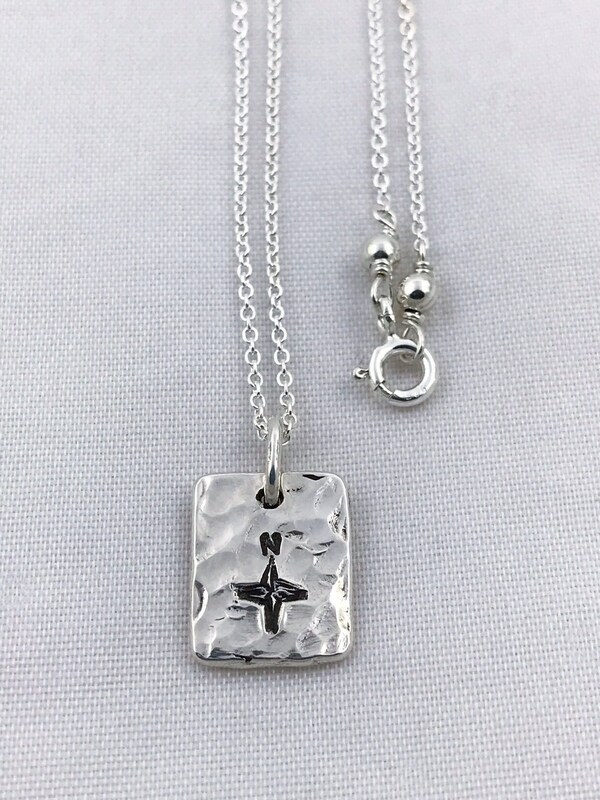 You may choose not to request it and the backside of pendant will only have the .925 sterling stamp. -Please leave me a note at checkout, or send me a message with your order number to request your custom stamping. 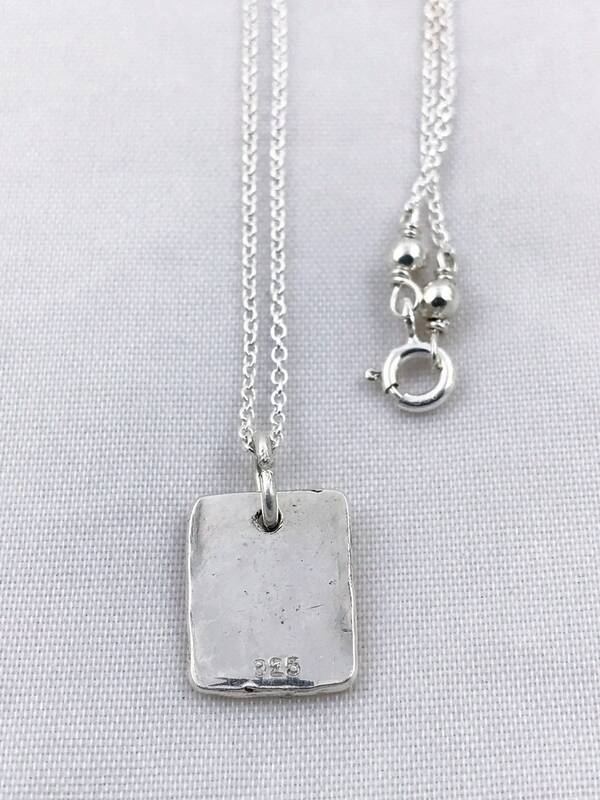 Please check spelling carefully as I will stamp exactly what you have typed onto the pendant. -You may request the font be all uppercase, all lowercase, or exactly as you have typed it. If none are specified, default is all uppercase. -Please keep your custom stamping at or under 3 characters to fit on this pendant. If you need slightly over, please message me so I can see if it will work. -Stamping can include letters, numbers, and common punctuation characters. If you're not sure I have your desired character available, please feel free to check with me before ordering.